Builders and contractors continue to rely on Draglam Waste to provide the expertise necessary to create and sustain an environmentally focused building project. Our C&D Specialists will guide you through every step of the building process from demolition to construction and beyond. We will help you to create an efficient waste management plan specifically designed to minimize your environmental impact. Building standards today are increasingly focused on “Green” Initiatives and Sustainability. As technology advances, these standards will continue to grow and environmentally focused projects will become more prevalent. LEED is an acronym for Leadership in Energy and Environmental Design (LEED). 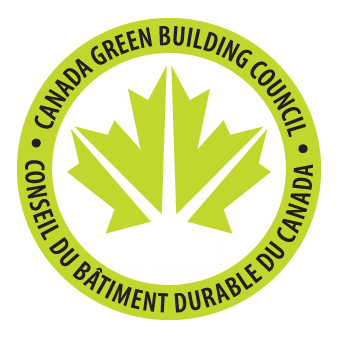 It was created in an effort to provide a national standard for green building design. The pilot version of these guidelines was introduced in 2000 and has continually been expanded and revised. Standards also exist that specifically target Commercial Interiors, Core and Shell, Existing Buildings, and Residential Buildings. Depending on the number of points achieved, the building can attain Platinum (52 – 69 points), Gold (39 – 51 points), Silver (33 – 38 points) or LEED certified (26 – 32 points) status. Draglam Waste and Recycling Inc. can help by working with you to achieve either 50% diversion for one point or 75% diversion for both points. We can provide separate bins for recyclable materials or provide a single bin for mixed waste and separate the materials at our Materials Recovery Facility. On a monthly basis we will forward a report showing how much you have diverted. Letters from the receiving facilities will further describe how they process the materials and what new products will be made from the material you have diverted from landfill. Our expertise in material recovery will help you to gain valuable points towards LEED® Certified Projects and ensure that you meet all of the guidelines set out by Ontario Regulation 102/94 & 103/94 as well as the City of Toronto’s Green Initiative. Please call us at Draglam Waste to find out more about how we can help you to achieve your Waste Diversion Goals.